Mr. Wilkinson is an associate attorney at SLG. He graduated from the University of San Diego (2002) with a B.A. in Business Administration. Mr. Wilkinson earned his Juris Doctor Degree from the Catholic University of America, Columbus School of Law (2006), with a focus on Alternative Dispute Resolution. 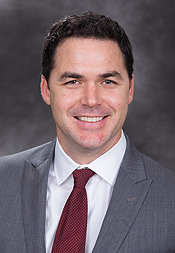 During law school, Mr. Wilkinson interned at French and Butler, LLP, focusing on complex construction litigation, and also interned at Judicial Arbitration and Mediation Services (JAMS). Mr. Wilkinson works in SLG’s consumer litigation department, focusing on creditor bankruptcy and collection matters, including all phases of Chapter 7, 13, and 11 consumer bankruptcy cases, including consumer adversary proceeding matters. Mr. Wilkinson is admitted to practice in all California state courts and in Federal Courts in the Northern and Eastern District of California.